West Acres, Sanford Medical Center, Cashwise Foods, Bluestem Dr, Costco, 19th Ave & Burlington Dr.
Route 24 operates Monday - Friday from 6:30am to 11:15pm and Saturdays from 7:30am to 11:15pm. 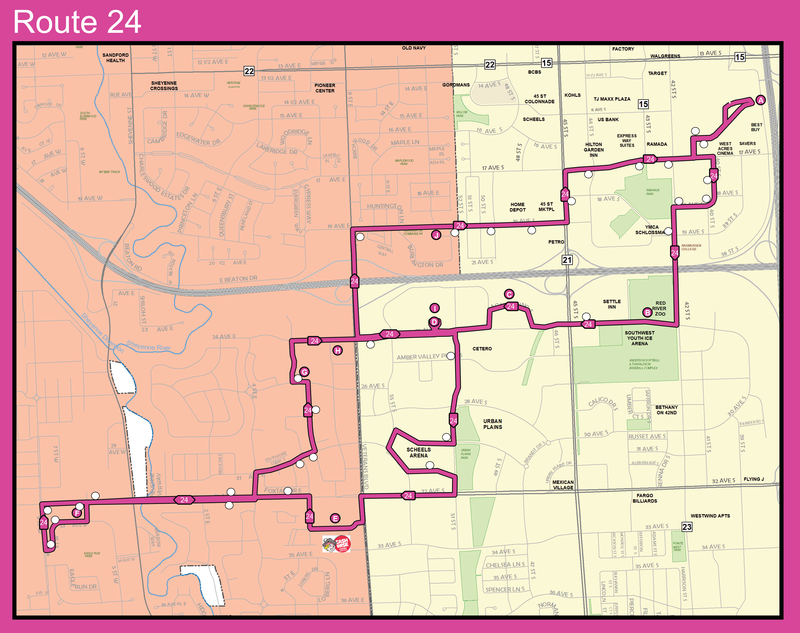 Route 24 departs West Acres every 60-minutes until 10:30pm. 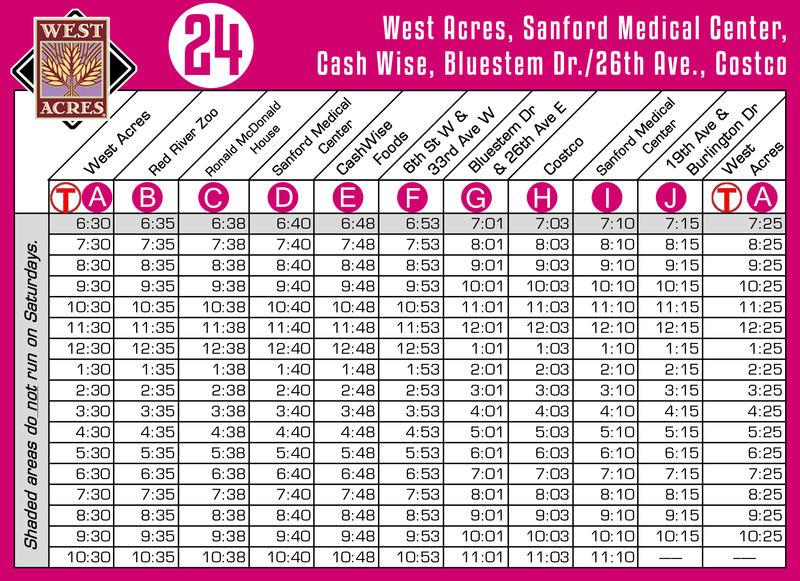 Route 24's last departure is at 10:30pm and ends service at Sanford Medial Center at 11:15pm.